Movie Addict Headquarters pays tribute again to one of Hollywood’s legendary actors, Mr. JAMES CAGNEY. Noted film critics Diana Saenger, James Colt Harrison and A.J. 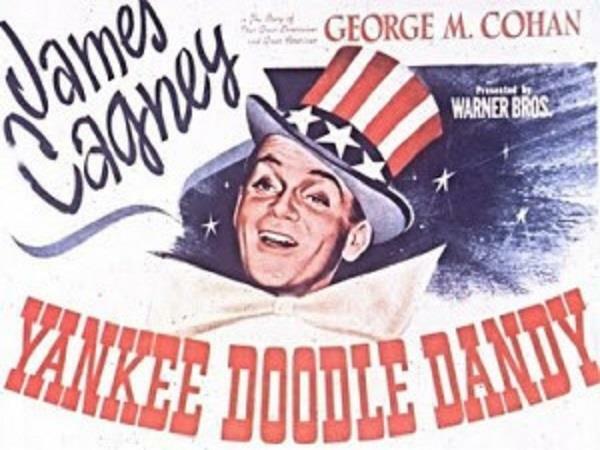 Hakari join in the celebration of Cagney’s illustrious movie career, including his Oscar-winning performance in YANKEE DOODLE DANDY plus many of his other films. Cagney earned numerous honors for his on-screen work. In addition to his Best Actor Academy Award, he garnered two other Oscar nominations. One for Angels with Dirty Faces, the other for Love Me or Leave Me. He also received the AFI Life Achievement Award, a Kennedy Center Honor and the Screen Actors Guild Lifetime Achievement Award. It’s interesting to note that after Cagney’s breakthrough gangster part in The Public Enemy back in the 1930s, many moviegoers had a hard time accepting him in “good-guy” roles, but it’s still not surprising that in 1999 the AFI ranked him EIGHTH among the 50 Greatest American Screen Legends. The Chat Room will be open for movie fans to discuss their favorite James Cagney films and performances.